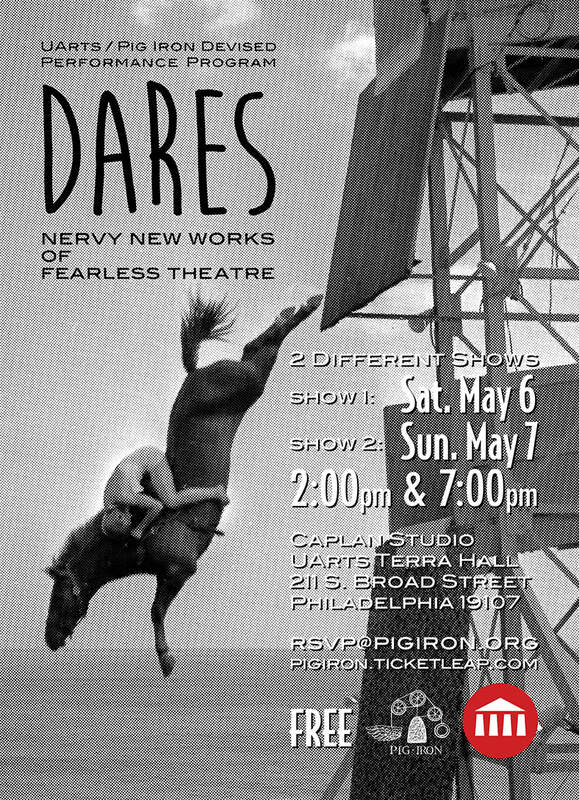 The UArts / Pig Iron 4th semester capstone projects are called DARES. 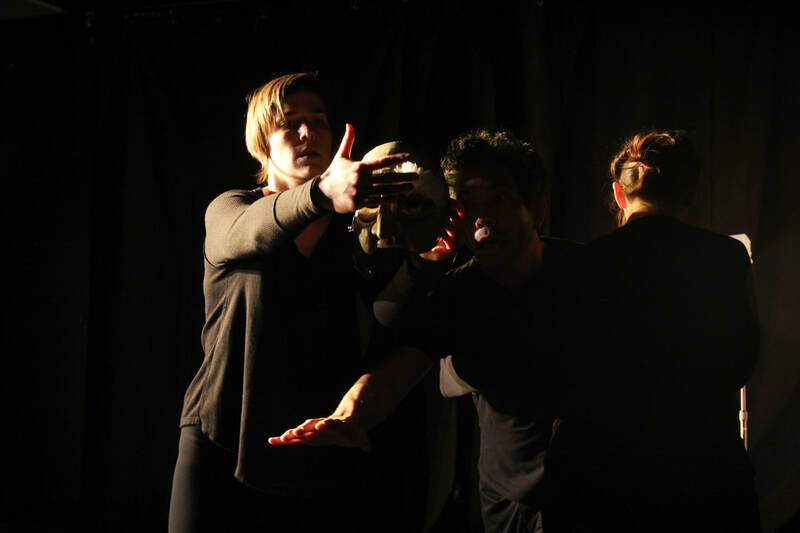 Each student receives a prompt to create an original short work. Then they are left to their own devices. 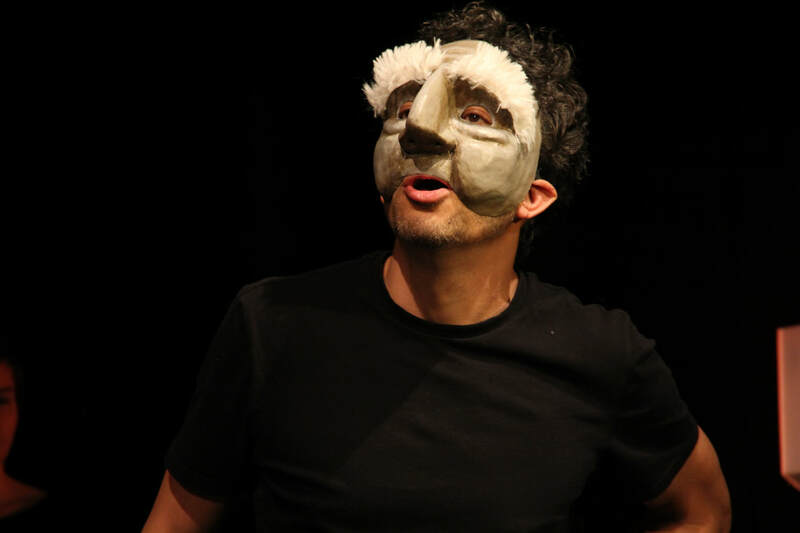 Adapted from a short story, In The South, it was a bold fusion of theatrical forms, including elements of melodrama and mask work. 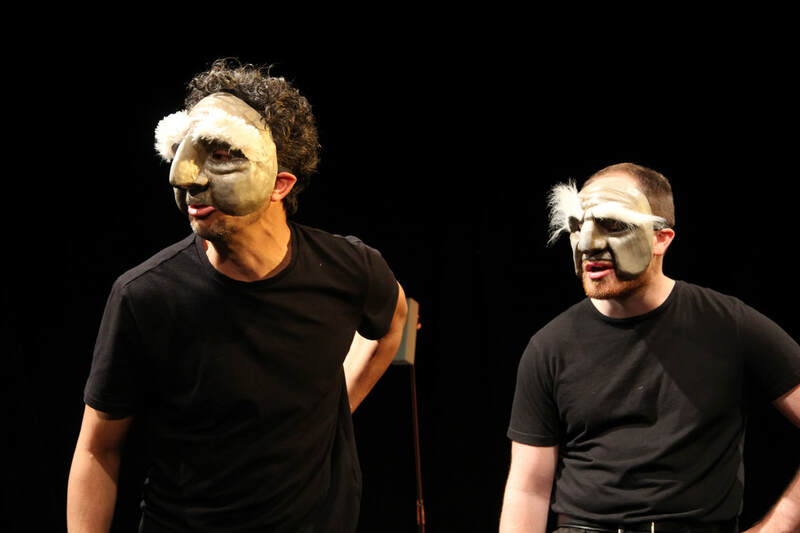 In fact, I created several original masks especially designed for the cast (Ashley Demain, Sarah A. Gardner, and Devin Preston). 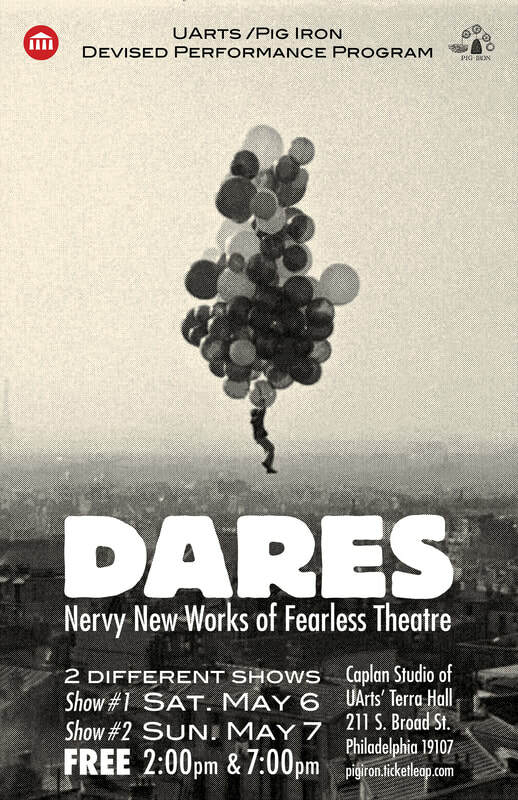 "nervy new works of fearless theatre." 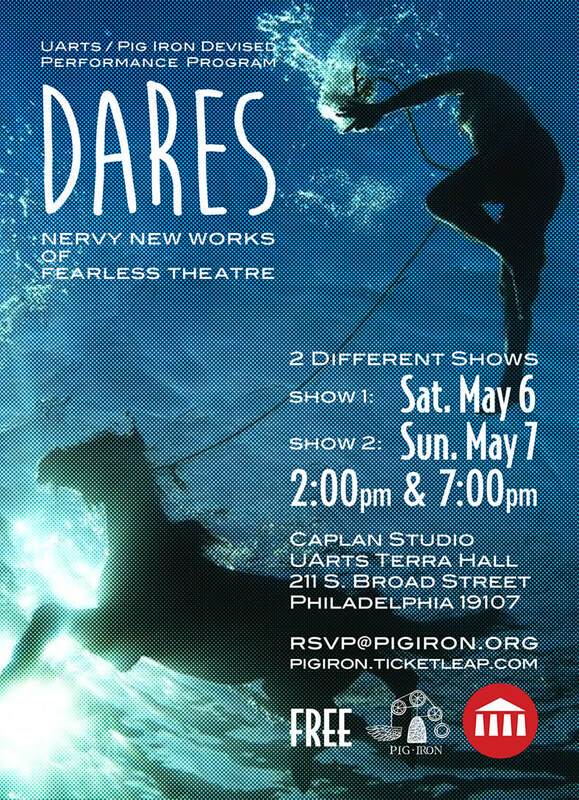 Poster and postcard designs by me and Sarah A. Gardner. 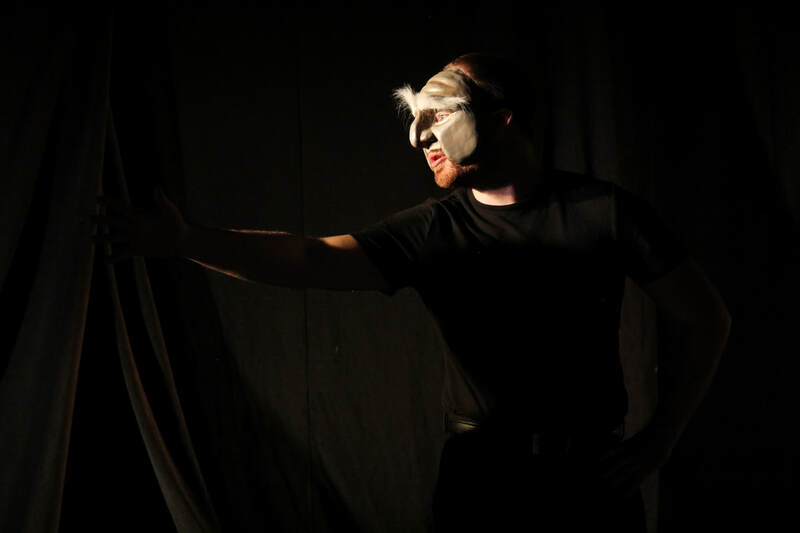 Photos by Lindsay Browning courtesy Pig Iron School.